Social networking is more important now than ever. Google now utilizes Facebook to help determine your trust and authority in search results. If you haven't created a Facebook fan page and started reaping the myriad of benefits, the time is now! There are circumstances when the time and effort to create and maintain a Facebook fan page outweigh the boon it would yield. Which is why it is important to look at your company and its mission before deciding to proceed. If you just need a push before taking the leap, see our reasons why Facebook is great for your website. You already know this but besides the time necessary to set up and maintain your page, Facebook is free! With money going out the door left and right for inbound marketing. Taking advantage of free tools, like a Facebook fan page. It is the right move no matter what size of website you have. Facebook fan pages act as a funnel to your website. Since the whole idea of Facebook is networking. With a fan page, you now have another tool for reaching potential visitors to your site. This market of people you may have not ever know about with common interests. Besides that, your Facebook fan page is indexed by search engines. Giving readers, customers, and/or clientele yet another way to find you. Since you can link on your Facebook page, you can direct traffic to specific pages or your home page. Facebook is the second most visited website on the internet. Because of this Google has given Facebook pages some authority in its search results. The more fans, interaction, and links that come from Facebook. The better off your referring and organic traffic will be in your SEO strategy. This is the biggie, folks. Direct, real-time feedback between you and those you hope to reach is invaluable! With a fan page, you can address complaints, praise, and promptly respond to customers. Let readers in on company philosophy, or your own voice and personality. In this "e-social" world your success is dependent on your ability to interact and keep in touch. Facebook fan pages are highly customizable. With them, you have the ability to show visitors exactly what you want them to see and hide the rest. This is especially helpful since Facebook fan pages are public. Where most Facebook services require a log-in. ANYONE can see your fan page and what's beings said on it at any given time. Since Facebook pages and fan pages are indexed by Google and other major search engines. Visitors have more options when searching for you. In most causes, if you have a Facebook page and someone search your website name, it will be in the top 10 results. When someone "likes" a fan page you gain additional benefits. What you post is then added to their news feed giving them and all their friends' access. This is the perfect tool for making sure you stay on their minds every day. Facebook's Insights tool is easy to use and, best of all, free! Additionally, you can set it up to be notified on almost all activity. Every time you acquire a new fan, someone comments on your post, or asks you a question, keeping you in the loop 24/7. 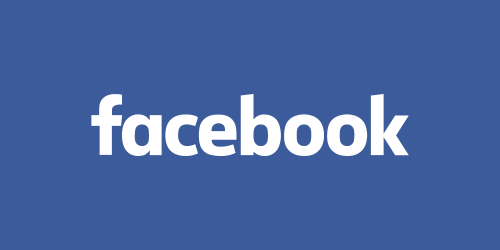 Keeping a Facebook fan page may sound like a lot of work, and honestly it can be. The maintenance alone can be time consuming but it can also be lots of fun and inspirational. Listening to your fans, critics, and advocates can help give you a better idea of the direction you are heading. If you are really in tune, what direction you should head in the future. If you are a writer keeping a blog, look to your fans and friends for ideas. When that horrible fiend we call writer's block hits it can help you generate some new content ideas. If you have a product or service based website, look to those that know and love your company for your next big idea. Setting up a fan page takes just a few minutes of your time and can pay off tenfold in the long run. The startup instructions are clear and easy to complete. You can usually have a pretty good page ready to go in around half an hour. With Facebook's wide variety of easily implemented buttons and tools for your website. You can set up your site to link to your Facebook and even include feeds and comments and vice versa. These tools and a lot more including mobile apps. Are available with clear instructions by following the "Facebook Developers". Facebook sends good traffic to your websites and it is always targeted traffic to generate sales. We saw a marked increase in traffic, sales, and ranking once our company set about mastering facebook. There are literally hundreds of tools out there from Facebook to use and the only thing we found problematic was deciding which were worth our time. Facebook is a free and amazing tool to generate FREE TRAFFIC. Your post is great and really hits the nail on the head of the importance of facebook marketing and a page itself. Why not use every free tool we can? Thanks for the info.